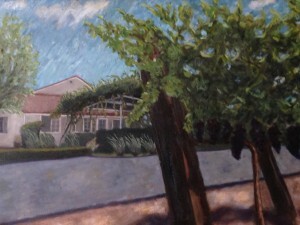 “Southern Skies” is Robert’s first piece of his Vineyard Series. 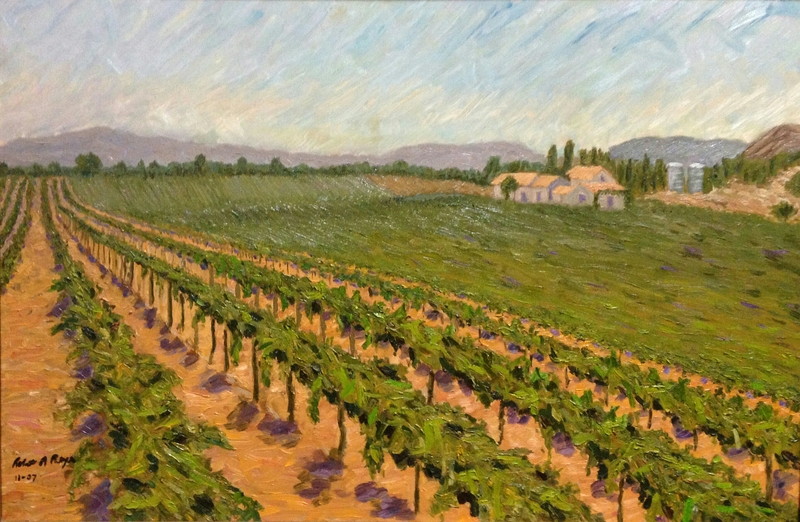 One gorgeous summer afternoon Robert saw the beauty of his vineyard just before harvest and was inspired to put it on canvas. This majestic painting with views of distant mountains and clear skies reminded him of the reason he planted the vineyard. 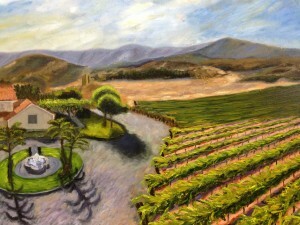 This painting is on the first commercial bottling of Reyes wines. 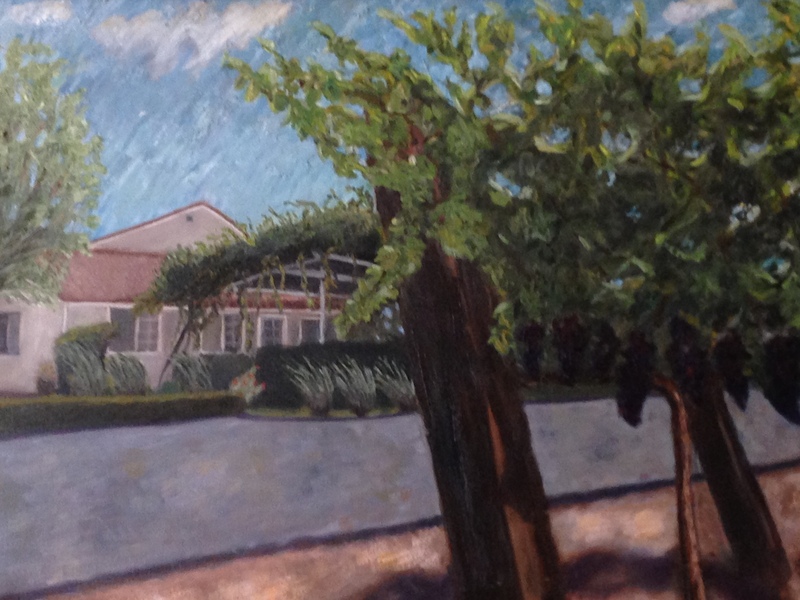 While testing sugar levels in the vineyard in September to determine when grapes would be ready for harvest, Robert looks up and turns to see his lovely wife sitting in the veranda enjoying the view of the vineyards. 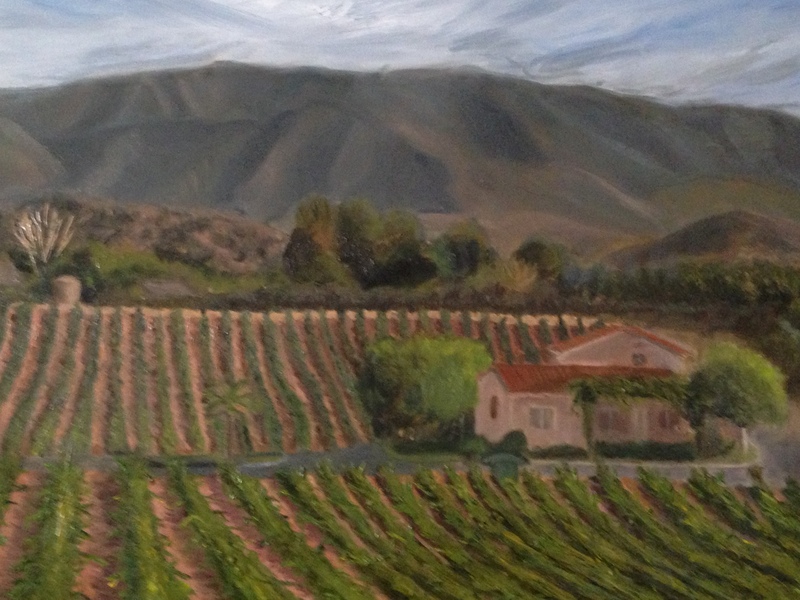 In that moment, from where he stood was the perfect image to place on canvas for the next Vineyard Series painting. This painting is #7 of the Vineyard Series. The inspiration for this piece came one summer afternoon when Robert saw the beauty of the sky reflecting on the fountain and the vineyard. In that moment everything around seemed to be lit up. The red grapes lit up with different tones of ruby and the white grapes seemed as bright as gold. 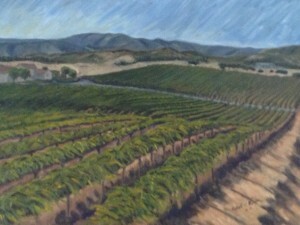 The beauty of “Summer Skies” is currently exhibited on the label for Reyes Winery wines. 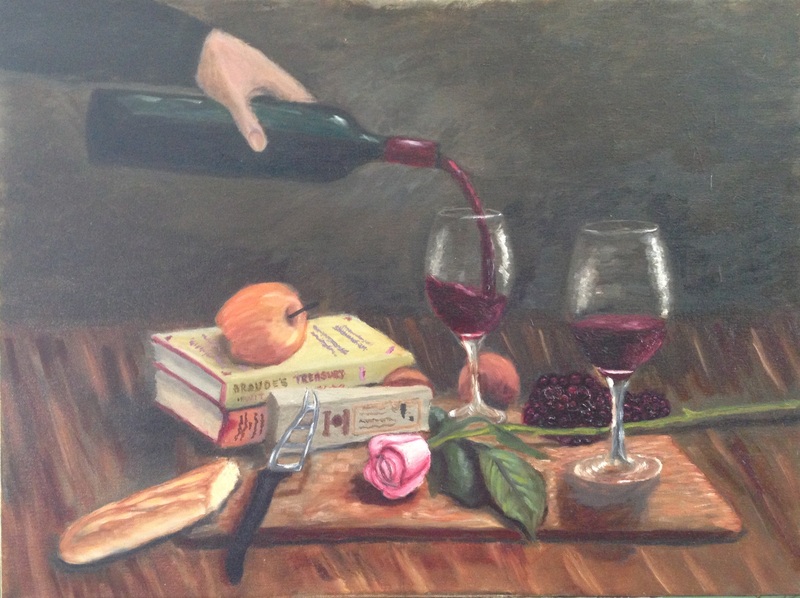 Robert Reyes’ “Pour to a Rose” is his first painting in this genre, “Still Life in Motion”, which captures and portrays movement on canvas. 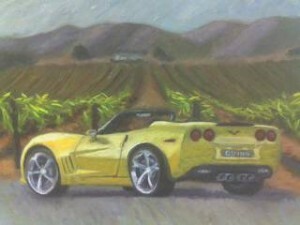 Rosa, his wife, gave him a rose and he then was inspired to paint this for her anniversary gift. 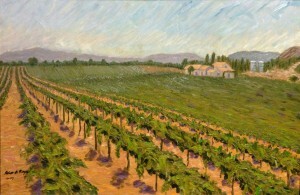 The painting also depicts Robert’s passion for wine; he was inspired to use a background reminiscent of one of his favorite masters, Jean-Baptiste-Simeon Chardin. Chardin was one of greatest still life painters in the history of art. Through this painting Robert wanted to open the viewer’s eyes to see beauty in everyday objects like books, fruits, bread, etc.